Boat Description Our Targa 18 walk-thru modelwith its 18`6` Deep V hull and 96` beamis a rock-solid performer whether at rest or on the go. In regions where wind and chop are commonly encountered, this is the boat to have. 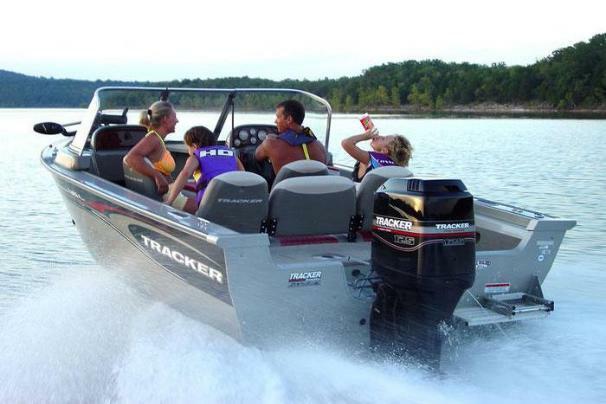 It offers a stable fishing platform and a top-handling ride, with protection from wind and spray. This serious fishing boat includes a Mercury Pro Series outboard, tilt steering, Lowrance X47 fish finder, Minn Kota foot-controlled trolling motor, two-tray tackle management system, 19-gallon bow livewell with baitwell, 28-gallon aft livewell with baitwell insert plus custom trailer with EZ lube hubs, GalvaShield protection and swing-away tongue.